Great for wearing underneath white button-up shirts. Officially licensed Supergirl TV show t-shirt. 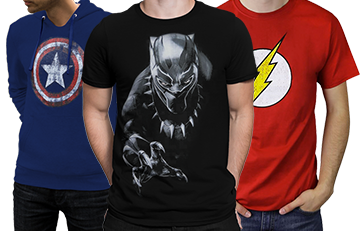 Official Supergirl TV show symbol shirt straight from National City. Just pop on this Supergirl TV Symbol Women's T-Shirt from the Supergirl TV series and you too can report on and, more importantly, fight off all things evil in National City. Unfortunately, our heroine Kara Zor-El suffers from the same plight as does a certain well-known alien and first cousin, Kal-El, otherwise known as, you guessed it, Superman himself. That green stuff is bad...very bad. 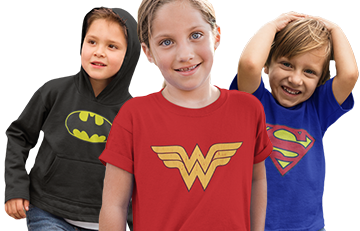 Made from 100% cotton, this royal blue Supergirl t-shirt for women features a bold red Supergirl logo outlined in yellow, a perfect replica of the logo our beloved Kara sports in her duties as Supergirl. 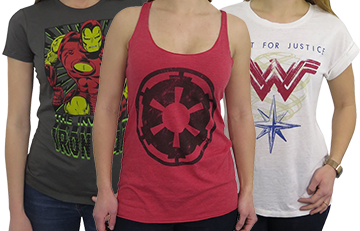 Comes in fitted and standard sizes for Supergirls of all shapes and sizes. Size was true. I originally ordered the XL because ladies shirts normally run small. Fit as stated but shrunk badly. Washed in cold and hung to dry.